Can I get a show of hands from everyone who is ready to sip something refreshing and fruity on their back decks and patios already? I think I have been ready since about two months ago! Last summer I became obsessed with making my own flavorful infused simple syrups. Simple syrups are such an easy way to sweeten and add flavor to your favorite beverages be it iced tea, mojitos, and of course, lemonade. 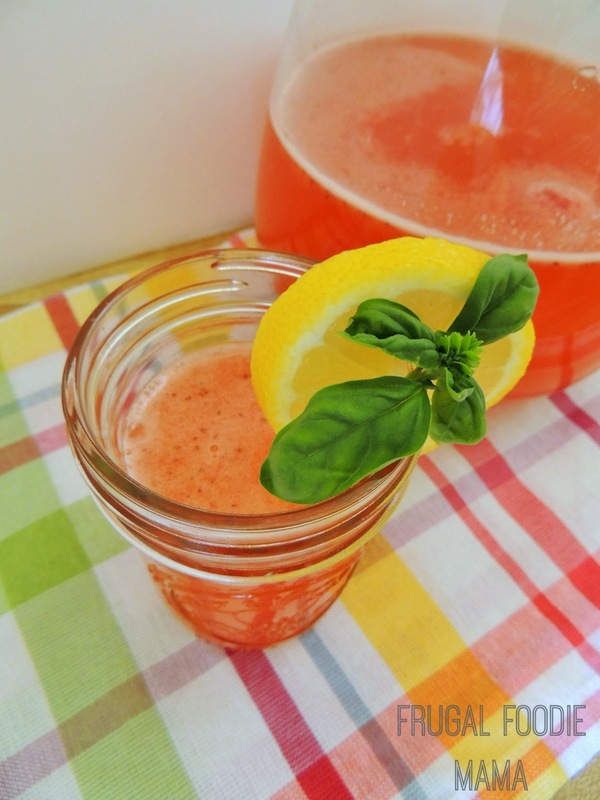 For this Basil Infused Strawberry Lemonade recipe, I used a homemade basil infused simple syrup. 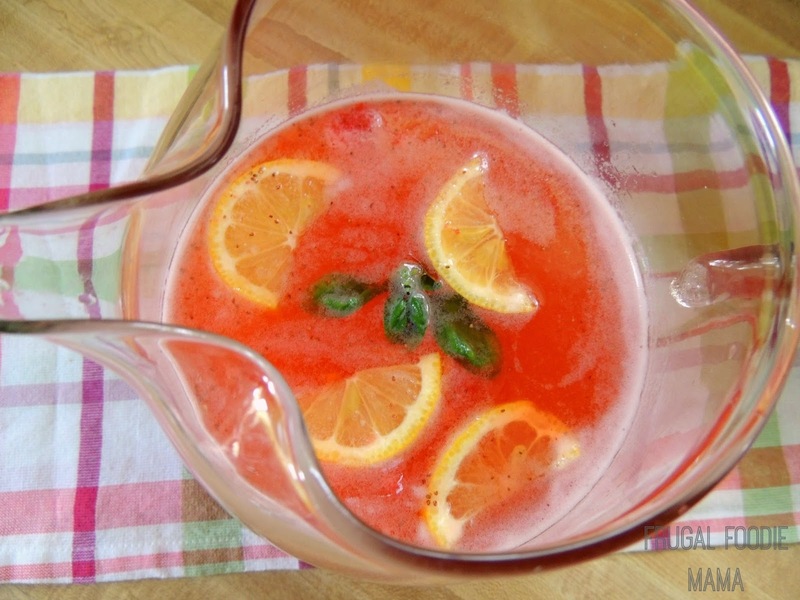 Follow Carrie (Frugal Foodie Mama)'s board Summertime Entertaining on Pinterest.